We are doing a Skater of the Month twofer today! Our September Skater of the Month is Notorious BFG! She’s been an amazing team player on and off the track this year. In her rookie season, she’s worked her way onto the All Star team and has been the model of consistency at practice, league events, and as part of her committee. She’s also just been voted in as league Vice President! Congrats Notorious BFG! 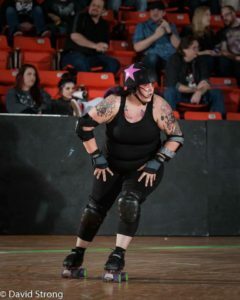 Our October Skater of the Month is Furious Black!! She’s a beast on the track, no question, but her being honored this month is for work she did off the track. 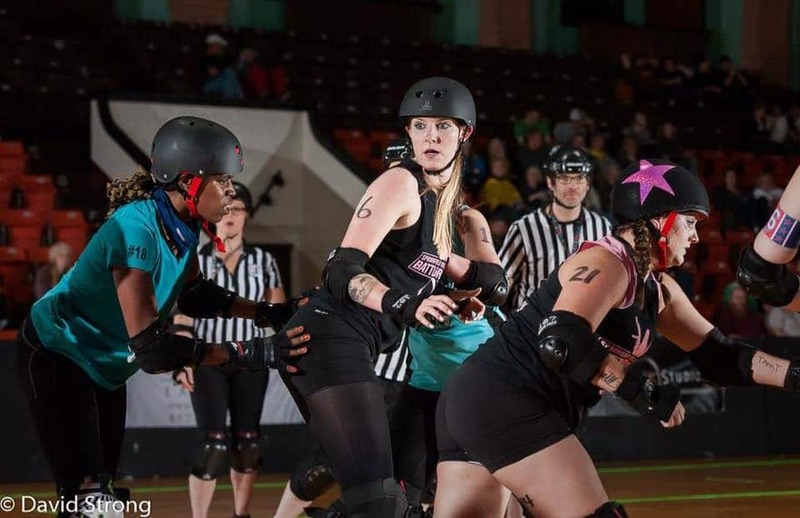 Furious Black was instrumental in her league putting on the best QHC Springfield has ever seen! Her attention to detail made the ambiance as exciting as the action on the track. Congratulations Furious Black!